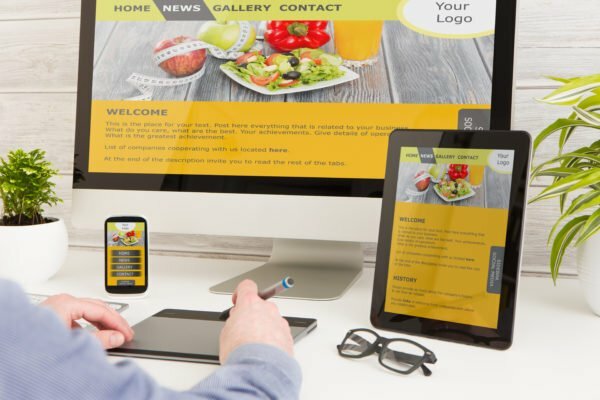 If you’re an e-commerce entrepreneur looking into designing a new website, chances are, you’ve come across the term responsive web design. 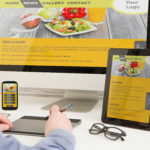 A responsive website is a single site that adapts seamlessly to suit the screen size of the device that it is being viewed on, so whether you’re accessing the site on your phone’s 4-inch display or an oversized desktop monitor, the pages respond instinctively and always look their best. Consumer patterns are always evolving, and e-commerce businesses need to adapt to remain competitive. Did you know that “61% of internet users start shopping on one device but continue or finish on a different one“? Providing a similar look and functionality across the different devices is crucial to the customer experience. Also, social media is an element of marketing that e-commerce businesses cannot disregard. Since the majority of social media is consumed through mobile, links that you share on your Facebook page or in your tweets will be viewed on various devices. In order to avoid high bounce rates, it is imperative that your website be responsive. It’s no secret that Google has an affinity for responsive websites. In May 2016, Google announced its decision to roll out an “update to mobile search results that increases the effect of the ranking signal to help [their] users find even more pages that are relevant and mobile-friendly,” meaning that if your website isn’t mobile-friendly, it will be penalized. Do you need help getting started with your responsive e-commerce website? Contact Numinix today to get started.